We provide a wide array of superlative Castor Oil Ethoxylate that is manufactured under high precision. 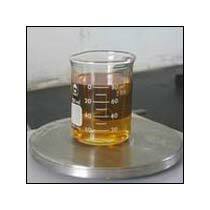 We are counted among the predominant hydrogenated Castor Oil Ethoxylates Manufacturers, based in India. This Exylated Castor Oil is not contaminated with any kind of harmful material, thus it is safe to use. They are produced under environment friendly conditions by talented chemists. To assure the quality of castor oil ethoxylate, they are checked strictly before dispatching to the clients. Why our Castor Oil Ethoxylate? C.O. : 20 Castor oil Ethoxylate (20 moles) Emulsifier for agrochemical formulation & solvents. C.O. :40 Castor oil Ethoxylate (40 moles) Emulsifier for agrochemical formulation & solubiliser. C.O. : 55 Castor oil Ethoxylate (55 moles) Surfactant for flowable in agrochemical formulation.